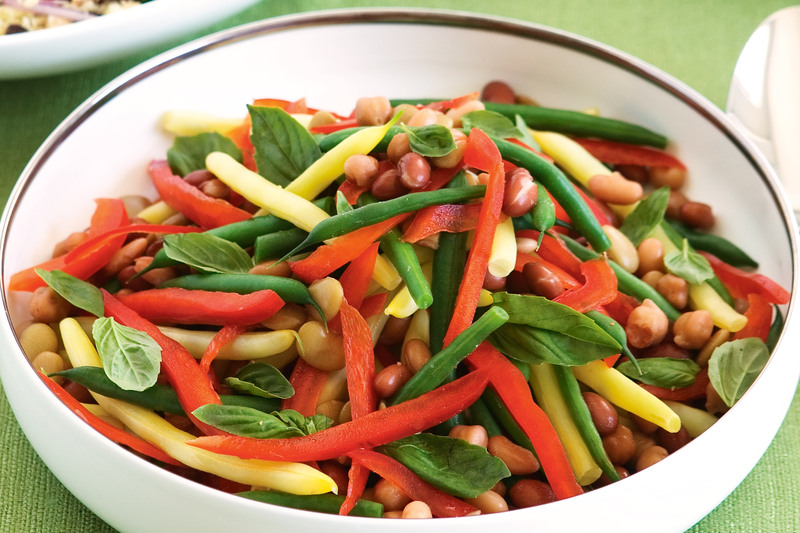 This simple salad is a lovely low GI option for a summer side. Heat 2 teaspoons oil in a large frying pan over medium-high heat. Add green beans, butter beans and capsicum. Cook for 2 to 3 minutes or until softened. Add four bean mix. Cook for 1 minute or until heated through. Remove from heat. Add basil leaves. Season with salt and pepper. Drizzle with remaining oil. Toss to combine. Serve.